Characteristics of Bad and Good Drivers - Time to Change Lanes? Characteristics of Bad and Good Drivers - Time to Change Lanes? Personality characteristics impact your performance on the road. Studies have shown that this correlation begins as a young adult and carries through to present day. Understanding the role of personality in driving not only helps enhance traffic safety policies and programs across the nation, it provides an individual with the opportunity to embrace these behaviors, or make a change where needed. Today, we breakdown the characteristics on both sides of the road, to help you identify where you drive. Chances are, you have a little of both in you, so by recognizing and altering certain behaviors you can become more calm, cool-headed, and safe while behind the wheel. 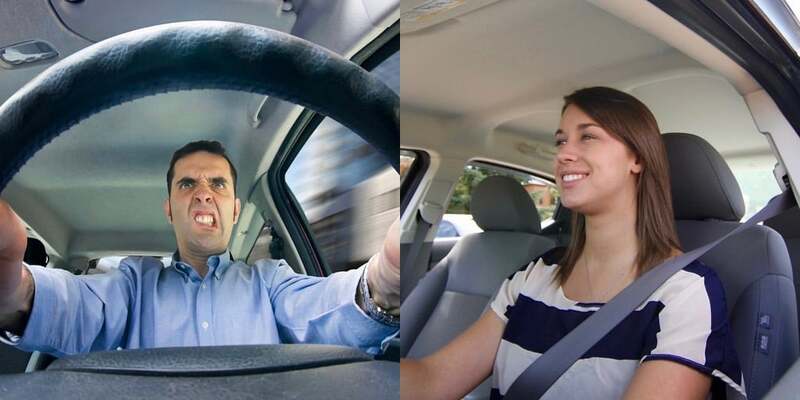 Reactionary – A recent study that indicates good drivers become bad drivers when confronted with poor driver conduct. By remaining conscious of this you make sure that you do not allow the actions of others to impact your own emotions, and performance on the road. Competitive – Competitiveness can be productive in the work environment and most certainly in sports. But when it comes to driving, it can cause problems. Those who bring competitiveness into the car tend to find enjoyment in out-maneuvering other drivers. This can lead to accidents. Leave your competitive nature on the field, court, or putting-green to keep a serene scene on the road. Aggressive – Those with an aggressive personality often drive aggressively. 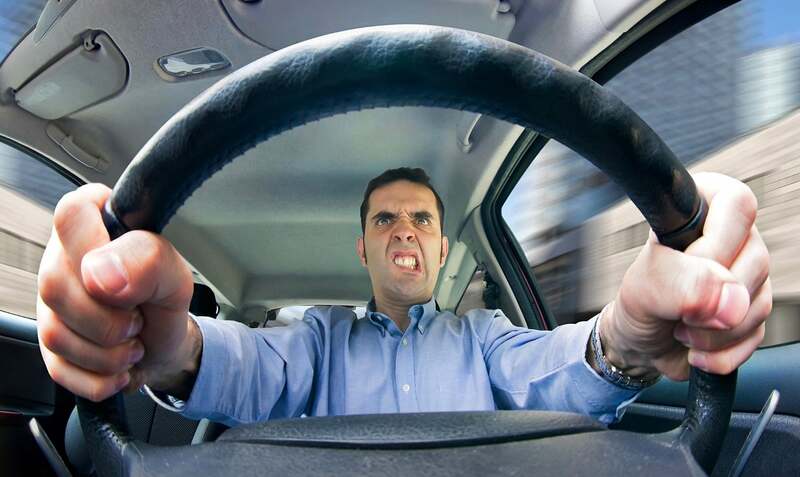 Research shows that aggressive driving can quickly evolve into road rage.To nip this potential in the bud avoid the associated actions of lane blocking, tailgating, lane changing without signaling, and obscene gesturing. Risk Taking – Thrill seekers can be fun to be around in many scenarios. But on the road is not one of them. Remember that even professional extreme sports athletes take the most stringent of safety precautions. Consider driving as your preemptive precaution, and save the thrills for the surf, sky, skatepark, and slopes. Inability to Concentrate – An inability to concentrate over significant periods of time can be detrimental to road etiquette. Note that those suffering from ADHD overcome distractions while driving, which means you can too. By following these tips to avoid driver distractions your ability to concentrate on the road will greatly improve. Patient – Patience is one of the most important traits a driver can have. Heavy traffic, road construction, parking, and the actions of other drivers will test patience on a daily basis. Impatience can lead to aggression, bad decision making, and ultimately accidents. Patience is a virtue in driving and prevents car accidents. Considerate – By definition, a considerate person is one who is careful not to cause inconvenience or hurt to others. Considerate people exhibit good driving etiquette. They let people merge, follow the speed limit, yield to pedestrians, and use turn signals. What they don’t do is equally important. They don’t honk when not absolutely necessary. They don’t tailgate. They don’t double park. If you follow all of the above then you too are a considerate driver. Keep it up! Defensive – This doesn’t refer to conversations around your wardrobe, political beliefs, or how your raise your kids. Defensive in this context applies to anticipation. Anticipation is the ability to read what is happening around you (situational awareness) and respond accordingly. Those that constantly analyze their surroundings and take note of the small details perform well on the road. As a driver, they constantly keep changing their line of vision between short, medium and long distances. This provides a bigger picture of what is happening around them, and thus they are able to anticipate an accident before it happens. If you take precautions in life, then be sure to add this practice to your driving where it will serve you, and other drivers. Knowledgeable – A new study from the University of Nebraska indicates that driver education significantly reduces crashes and traffic violations among new drivers. Those that start off on the right foot (or gas pedal) begin a more successful driving career. ConsumerReports states that follow-up adult driver education can be helpful in brushing up on skills. The verdict is in, the greater your thirst for knowledge, the more likely you are to educate yourself on the ways of the road and the less likely you are to get into an accident. The lesson here is to recognize the personality traits that make you a good driver and those that do not. Then, align yourself accordingly. Contrary to some lines of thought, you must not detach personality or emotions while driving, but instead embrace the good parts. Take Google’s driverless automated vehicles for example. They don’t get distracted, never fail to pay attention, have no blind spots and do not drink, do drugs, or fall asleep. Yet somehow, they have experienced higher than average accidents because they were not able to apply the positive traits noted above to the actions of bad drivers around them. That’s saying something very positive about your potential for safe driving on the road.